St. Lawrence is committed to providing superior treatment to patients who have suffered from limb loss. We understand that each patient has unique needs and faces different challenges. Therefore, we design our rehabilitation programs to allow our patients to return to their prior level of function to the best of their ability. Our physical therapists are trained in treating patients with various levels of lower extremity amputations and prosthetic devices, including C-leg and Genium. 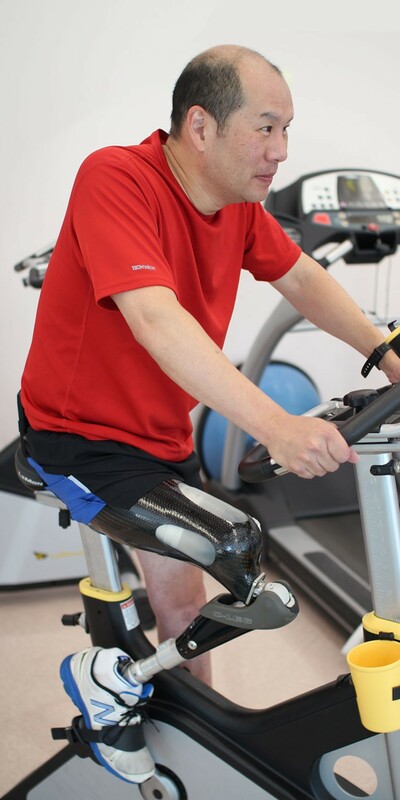 St. Lawrence physical therapists work closely with prosthetists to ensure proper prosthetic fit and comfort. St. Lawrence Rehabilitation Center has a partnership program with Amputee Coalition to assist our patients and their families in the recovery process. St. Lawrence outpatient clinic offers various services to our patients including occupational therapy, driving evaluation program and psychological counseling. Monthly support group meetings are offered to the patients and their families. The amputee meetings are run by amputee patients with St Lawrence physical therapists serving as additional support and resources for the patients and their families.